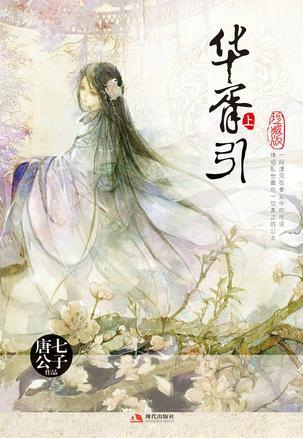 Once upon a time, in a fallen kingdom, Princess Ye Zhen relied on the jiao-zhu to come back to life. She wandering among the 9 states with the guidance of melodies and weaved dreams for others. There are those who are able to achieve their desires, and those who forfeit their dreams in the face of the bitterness of reality, softly erased. Creating music from illusion, life and death, flesh and bones, she is the only God of Illusion, reigning over life and death, and yet, she unable to hold onto her own happiness. One again, a chance meeting with the prince of the opposing country, their identities weighing on both sides, fate is heavy. In the end was it a meeting of fate, or the teasing of destiny? I read the raws and this is such an amazing story. The beginning is confusing because of how many characters there are in the different short stories, but each short story is so beautifully written. I love Ying Ge's story the most, followed by Song Ning's. Tang Qi writes in a way that makes everything so beautifully tragic... it's so freaking sad but I can't help but love it. The characters too... They're all flawed, but in a way that is human. None of those 'oh, my flaw is that I'm... more>> clumsy haha' kind of flaw, but real, human flaws. That's why I can empathise with them, even Shen An, even though sometimes I think they're being unnecessarily cruel or irrational. Because they're all realistic characters. Ying Ge, you'll always have a special place in my heart. I wish your life wasn't so difficult. When you finally had the courage to leave the past behind and accept a new love, why did everything have to end so abruptly? Just why? The two of you could have had a lifetime of happiness ahead of you, but it was all not meant to be.